That is because it needs the right DSP coefficients to play properly right? Thanks in advance to anyone who can look into these! There is an issue with this Captain Toad: Treasure Tracker stream - it can't be played (with the foobar plugin, at least). Hi Bnnm, can you look into this file from MGS4? It just keeps crashing both Foobar2000 & XMPlay at roughly 5:50. Is it fixable? I hope so! 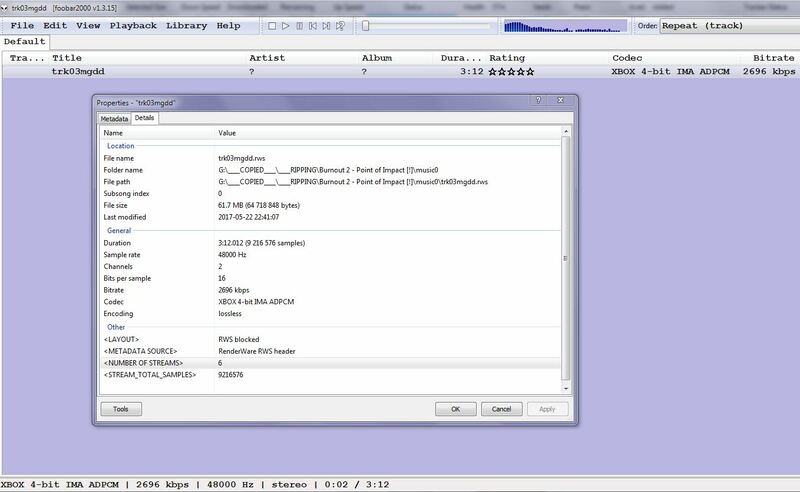 - missing PC/PS2/Wii/GC PCM and GC DSP support (Wii DSP works, but RWS defines codec IDs per platform), and maybe XBOX WMA (supposedly exists). Examples needed, etcetera. - not all .RWS contain music; it's a generic RenderWare extension. - RWS can be divided into segments (cues, like intro+main, or voice1+2+..N) or substreams. Currently it plays all segments and the first substream. However substreams may play wrong as I only have one example, maybe they are fake multi-ch (Burnout 2). You can check the "number of streams" the properties dialog btw. 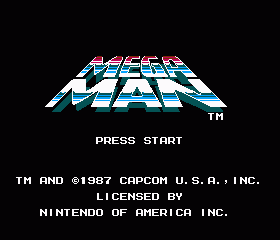 @Ultrafighter - I've fixed it but the file looks truncated, guess it needs a rerip. I only have the Gamecube version of Burnout 2, if we`re talking about "missing GC DSP support". Here are the "examples". I see what you mean about the tracks as some RWS files I played had 6 streams for example. So we cannot play the other 5 yet right? Or I didn't figure out how to play vgmstream substreams in foobar. All the stereo and surround versions etc.. add up to ~ 1.6GB ! Here are 3 versions of the Menu music that work. ** Oh! also I was ripping Halo 4 for the XBOX360 and came across some xWMA files which don't play in VGMSTREAM. ...and ripping Singularity for the XBOX360 I came across some .x360audio files. I guess they are a dif type of xma? ?